iPhone XS Max users are reporting network issue with phone saying “No Service” . The latest iPhone XS with iOS 12.1.2 is facing loss of LTE and WIFI sporadically. The drop in the signal is very frequent like 12-20 times in a day. Where as older iPhone like iphone 6s and iPhone 7 are getting good signal reception in the same spot but iPhone XS keeps showing “No Service”. When reported with the Verizon, they provided Network extender to some of the affected users and the iPhone XS does not show No Service anymore in that house. Definitely something wrong with iPhone XS network reception. If you are facing data connectivity issue in iPhone XS, Please try turning off LTE in the iPhone XS Max and see if it improves signal strength or “Nor Service” issue. Ensure that the Cellular Data switch is turned on . Tap to turn it Off. “No Service” can be a network provider issue (AT&T, T Mobile, Verizon etc). You should also update their settings. To upgrade your carrier settings on your iPhone XS Max. You can do this by going to Settings > General > About (try this on a Wi-Fi connection). You can also call network service provider and ask for update settings. Reset your network settings. (Please note that this will reset your Wi-Fi passwords etc). To reset network setting Go to Settings > General > Reset > Reset Network Settings. Your iPhone will reboot and reset network settings. 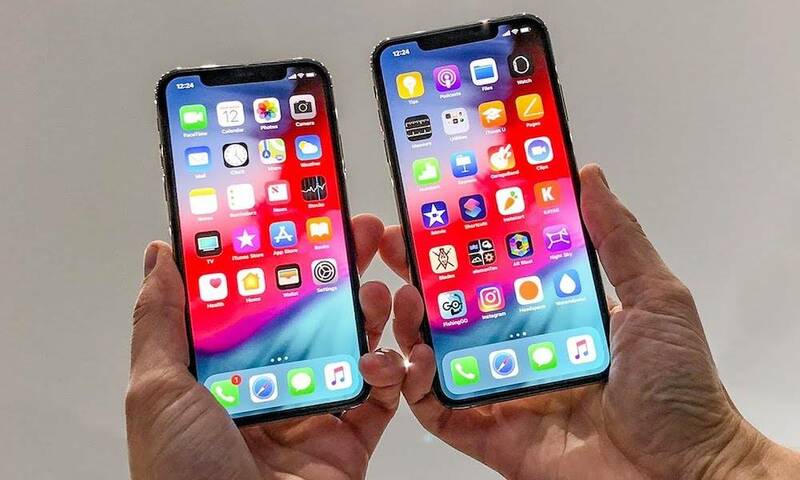 Update your iPhone XS to the latest version of iOS12, To upgrade the iPhone iOS Go to Settings > General > Update.